We offer 3 Teeth Digging Fork to our clients. 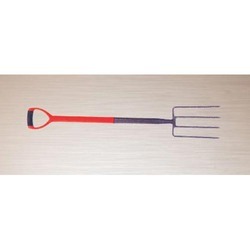 Item Size: H-4", L-38", W-7.5"
We are a unique entity in the industry, actively committed towards manufacturing a qualitative range of Digging Fork. 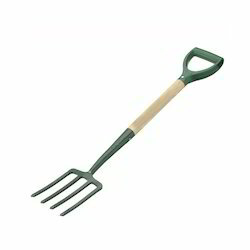 We encompass paramount experience in offering our customers best grade Garden Fork. These forks are made using modern machinery, best grade raw material and later tested at sound infrastructure of our vendors. While manufacturing these forks experts of our vendors keep in mind the established quality standards of the industry.